This summer, mirrored sunglasses are taking the season by storm. 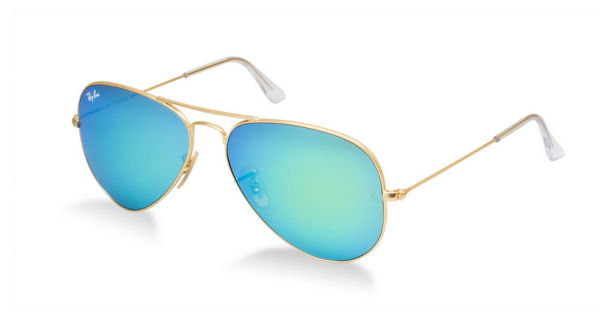 I’ve fallen in love with this pair of blue mirrored aviators from Ray-Ban, as featured in my round up of the season’s hottest sunglasses in KENTON magazine.Â The perfect mix of classic and futuristic,Â I just know they will be making their way into my closet soon! Ray-Ban Mirror Aviator, $160.